This delicious, nutritious smoothie supports clear- healthy skin, helps with weight loss, and is full of Vitamin C and potassium. Great smoothie to jump start your day. 1 Ruby red grapefruit, peeled and deseeded. 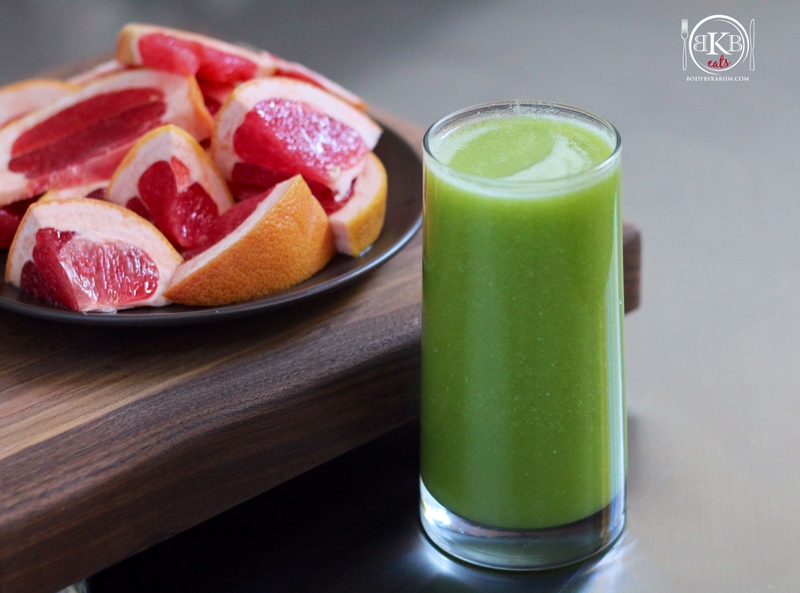 *If you don’t like pulp, use only the fresh squeezed juice from the grapefruit. 1. Place all ingredients in the blender or Nutri-Bullet and blend to your liking. Add more liquid for smoother consistency. Enjoy! 2. This same recipe can be made in a Juice form – just leave out the coconut water. Grapefruit is my best friend this winter after the flue and winter weight gain. Thanks for a great way to get it down. You’re so welcome! Hope you feel better.